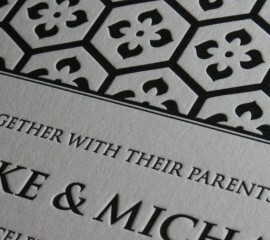 Entwined in love, entwined forever in letterpress. 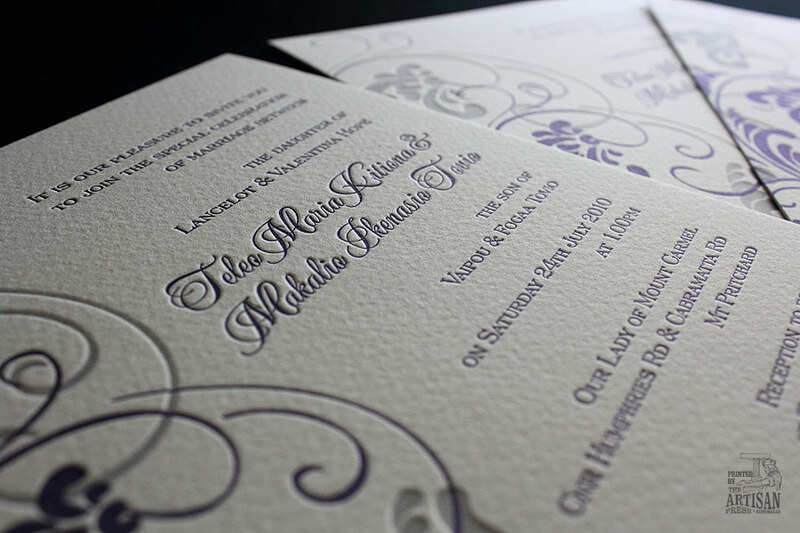 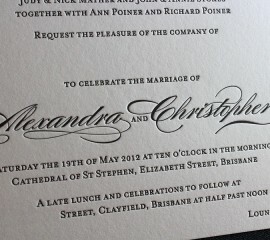 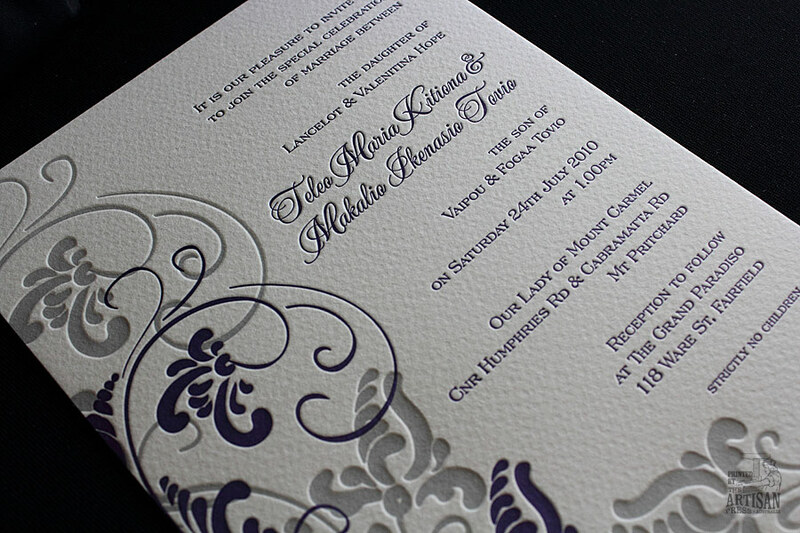 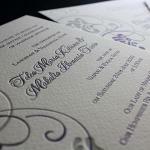 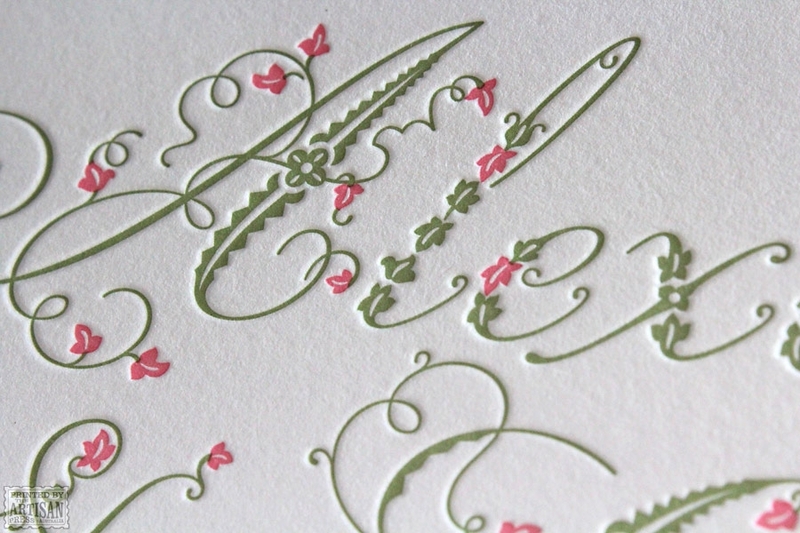 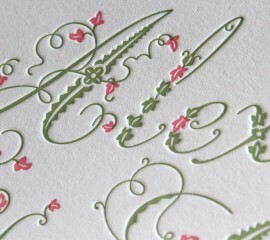 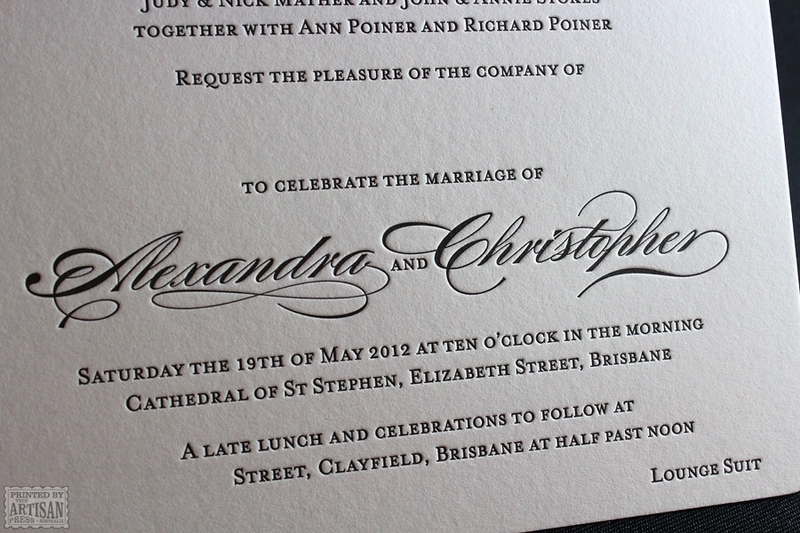 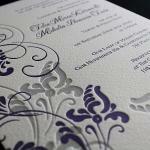 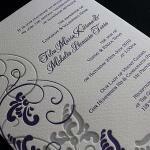 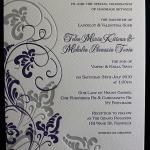 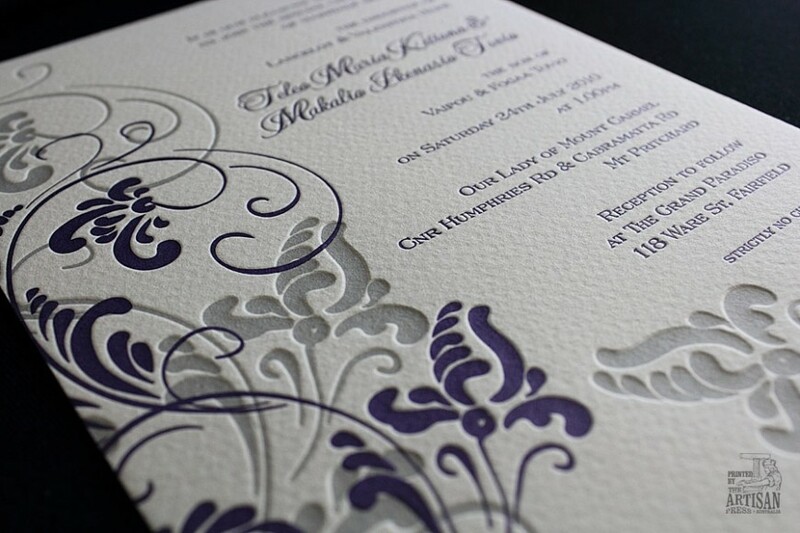 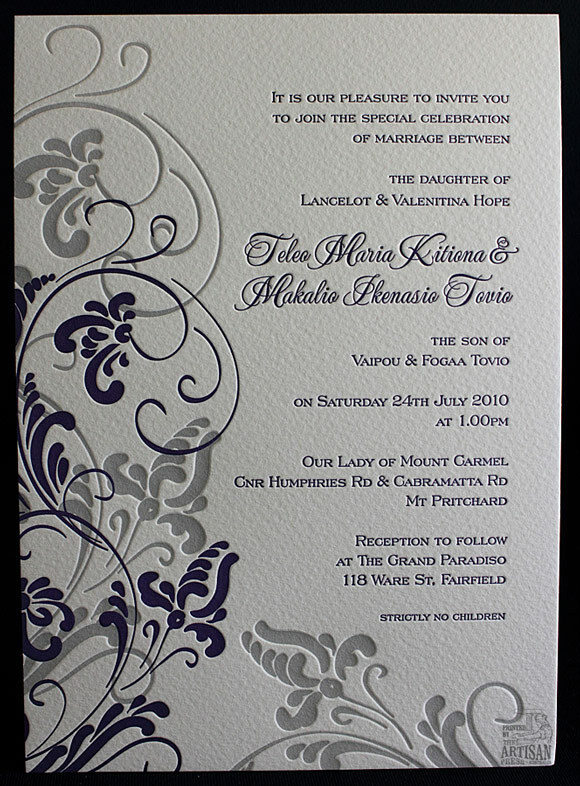 A beautifully typeset two-colour floral wedding invitation from The Artisan Press. 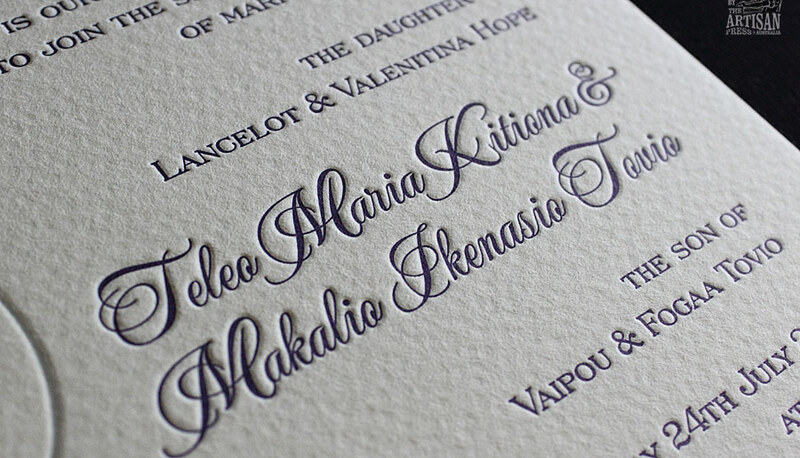 Lovely balance between the soft flowing floral, the crisp, sharp letterpress script and the finely textured Italian cotton paper. 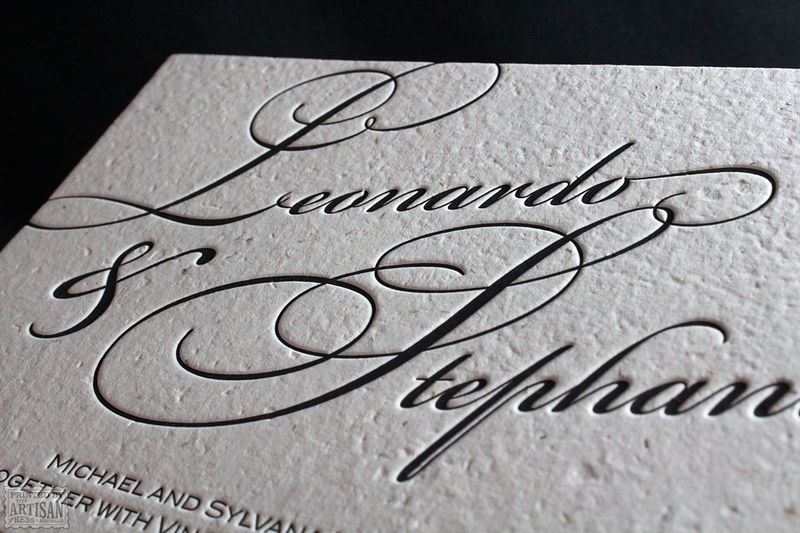 Superb control of impression with varying depths and layers on a textured canvas. 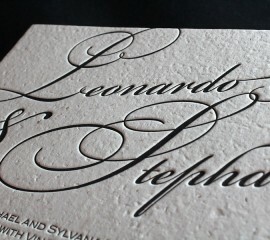 Fine detail alongside solid areas with even ink coverage and crisp, sharp impression. 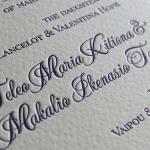 No paper warp, show through or sunken rows of text.